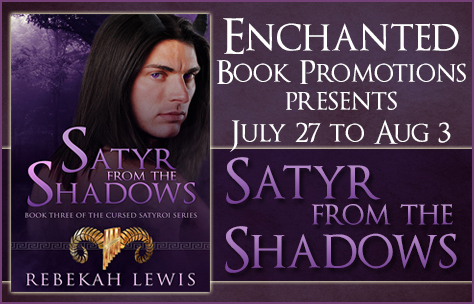 Enchanted Book Tours has a week of awesome scheduled for Satyr from the Shadows. It started yesterday on I Heart Reading and ends August 3rd on Indy Book Fairy. Also: Mercury Rising is on sale for FREE through friday on Amazon. Catch it before Hermes flutters away!